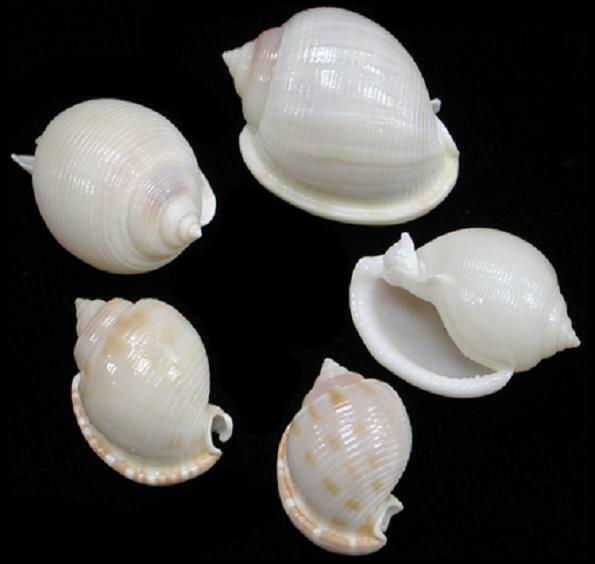 These are marine gastropod mollusks in the super family Tonnoidea, scientific name: Semicassis pyrum. Bonnet shells are found in tropical and temperate seas from the intertidal zone to depths of 100m, buried in the sand during the day and becoming active at night. They feed primarily on sea urchins. Members of this family are shaped rather like bonnets or helmets, as their common name suggests.